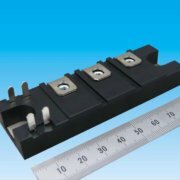 Sanken Electric has expanded its lineup of SiC Schottky diodes. 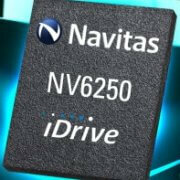 The new FMDA-10565 SiC Schottky is rated for 650V and 5A with a typical forward voltage drop of 1.5V at 25°C. Taking advantage of the high speed switching capability of SiC, these diodes achieve reduced switching loss, and reduced reverse leakage current at high temperatures. At 25°C, typical leakage current is 15 µA at a junction temperature of 150°C, typical leakage current is 70 µA. he FMDA-10565 is designed for use in PFC sections, motor drive circuits and inverters in applications such as servers, communications power equipment, air conditioners, and so on. 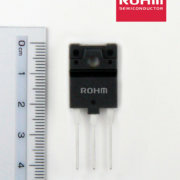 Packaged in a TO220F-2L, these Schottky’s have a temperature coefficient of 2.5°C/W and an operating junction temperature range of -40 to 175°C. 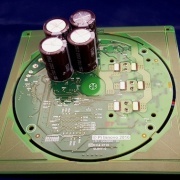 These devices are particularly well-suited for continuous current mode PFC circuits. 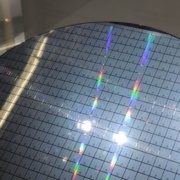 They are capable of reducing the power loss that results from the recovery current. The diode’s high-speed switching capability and energy-saving functionality allows for the potential downsizing of equipment. The 5A FMDA-10565 is the third device in this family and it joins the 10A FMCA-11065 and the 20A FMCA-22065.